Participants at the inaugural Tidewater Community College jobs summit, Let’s Grow, stressed, on Tuesday, the need for Hampton Roads to rely on its traditional economic pillars in the port, shipbuilding and repair and the tourism industry to build a plentiful supply of jobs over the next five years. 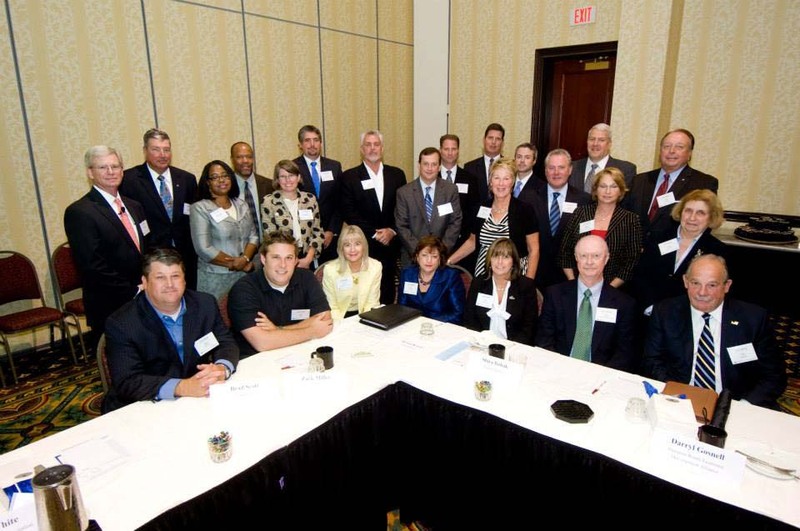 But that’s only part of the picture, the 23 participants agreed at the Norfolk Waterside Marriott. For example, expansion of Medicaid health care to another 400,000 Virginians through the Affordable Care Act will create 30,000 jobs, said Thom Prevette of Bon Secours Hampton Roads, not just in primary care but also in highly technical fields. “We need employees who are engaged, can think through a problem and take control of an issue,” said Stephen Porter, president of Sentara Princess Anne Hospital. Add to that the “cool” factor – important in attracting and retaining a young workforce, said Zack Miller, managing director of Hatch, a tech accelerator. “We have to start thinking about what’s cool for young workers to have them fill jobs here and spend money,” he said. Greg Grootendorst, chief economist with the Hampton Roads Planning District Commission, started the summit with a sobering look at the local economy. Jobs, he said, are returning much more slowly after the Great Recession, and we may not reach pre-recession peak employment until 2017 if average job growth continues. ​The 23 participants with President Edna V.
Pre-college, even early childhood, education is also a critical need, ensuring that the young people graduating from high schools and community colleges are ready to learn so they can work and earn. Kolovani noted that TCC has assumed responsibility for the Smart Beginnings program in Hampton Roads, aimed at improving early childhood teachers and schools. 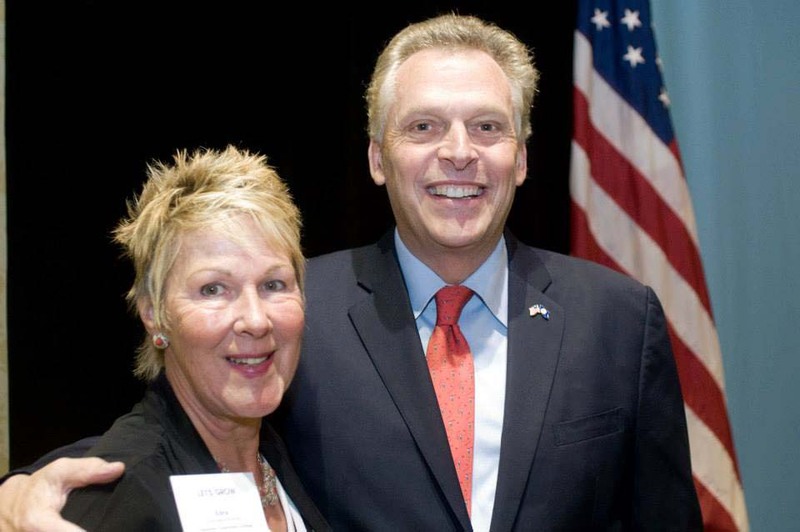 with gubernatorial candidate Terry McAuliffe. The participants also discussed the need to simplify the regulatory environment in order to encourage business growth, work and entrepreneurship. “We’re going to see 1,000 businesses with four employees, not four businesses with 1,000 employees,” Miller said. He pointed out three emerging areas involving smaller businesses in Hampton Roads: breweries, music production and retail restaurants. “Chipotle cornered the burrito restaurant market,” Miller said, adding that Skinny Dip Frozen Yogurt Bar, a locally owned chain with 12 locations, could be the next big thing. And that definitely has the cool factor. Kolovani said that TCC academic and workforce planning will take the input from the summit into consideration. TCC offers career education in many of the fields mentioned: maritime, welding, trucking, construction, health care, IT and health IT. A white paper about the summit will be published Sept. 16 in Inside Business. The luncheon following the summit included presentations by gubernatorial candidates Ken Cuccinelli and Terry McAuliffe.